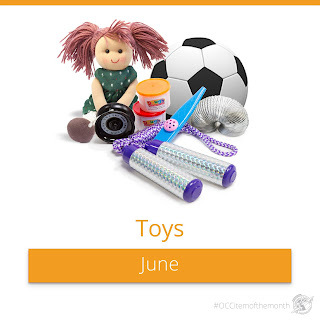 Samaritan's Purse has suggested items of the month for packing Operation Christmas Child shoeboxes, and for June, that's toys! These are such fun items to pick out and pack in a shoebox!!! I often, in my mind try to sort toys between active/moving ones like jump ropes to work off energy with, and quieter ones like a BB maze they can use to play with in quite times-and send at least one of each. While it's easy to think of toys as sheer frivolous fun items. I recently read a couple articles about the importance of toys to the development of children. One was about the improvement of the school environment in a school in India. Another was in The Guardian about a study that showed children learn best though 8 years old by play. So, while we often view toys as unnecessary or just fun, they may actually help the child develop...and be fun! 😀 As my mom used to say, "Play is a child's work." 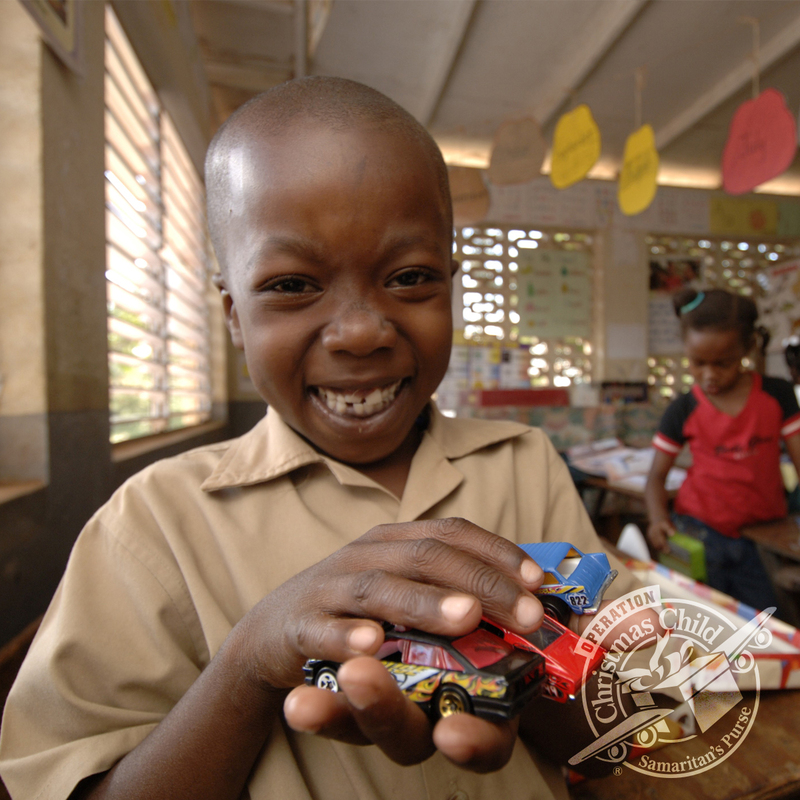 Here are some great stories of how much toys meant to some children who received shoeboxes. Since oral hygiene is so important to health, we try to include a toothbrush in every shoebox. 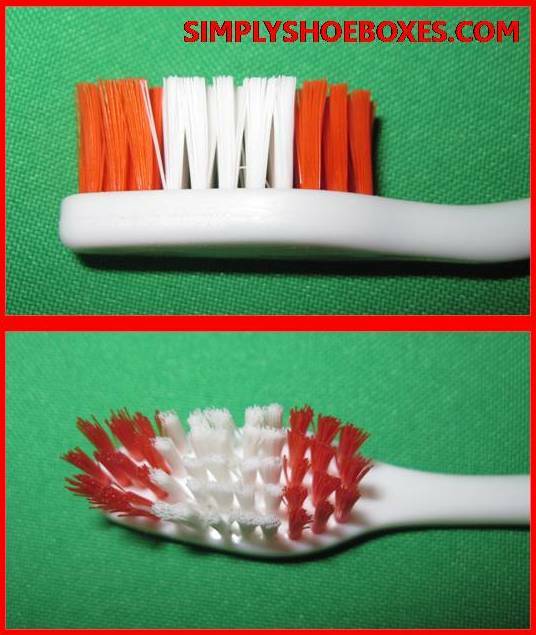 From the USA we can't send toothpaste, but experts say the brush is more important and works great on it's own. 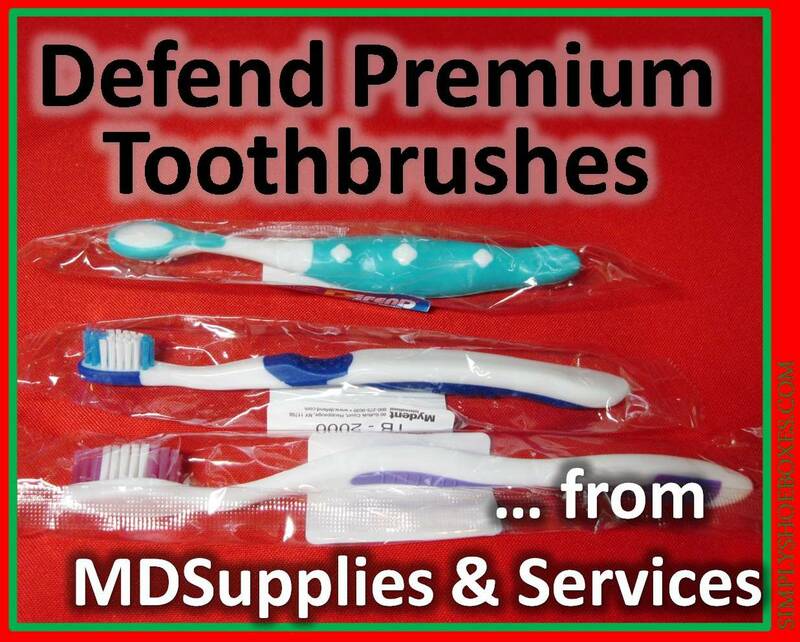 We've started getting many of our hygiene items from (affiliate) MDSupplies & Service's special Shoebox Shoppers order form. 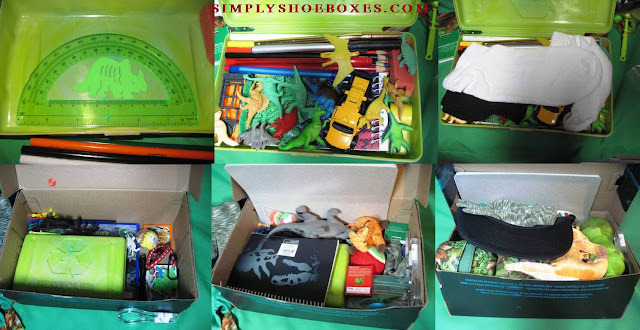 MDSupplies & Services has helpfully made us who pack for Operation Christmas Child shoeboxes a special order form of just items that can go in OCC shoeboxes...plus it has FREE SHIPPING!!! Disclaimer: I received these products free to review, but the opinions are all my own. Links in this post to MDSupplies & Services are affiliate links. These toothbrushes are nice, and colorful. Of all the ones I've tried from MDSupplies & Services, these look the most like "normal" toothbrushes, and from their price you'd feel they'd be better. While the handles are more ergonomic, and they look nicer, I didn't really seem to find them that much different. They seemed stiff enough, but not too stiff. They have a nice number of bristles, but they are flat across the top like the others from MDSupplies & Services, not beveled tops like many modern toothbrushes. But it seemed to work just fine. I used one for around a month-some days multiple times, I'd say it was used 50 or more times, and as you can see it held up just fine to that use (& I'm tough on toothbrushes). So, I feel like it's a sturdy toothbrush we can feel comfortable sending in our shoeboxes, knowing they're a good quality. This post contained affiliate links and I will be compensated if you make a purchase after clicking on my links, this helps me afford the time to write this blog and keep up the Facebook page. But, I only share affiliate links for items I think would be good for shoeboxes, and fellow shoebox packers. Most the time it will be things I've personally reviewed or packed, in this case I got the toothbrushes free to try. 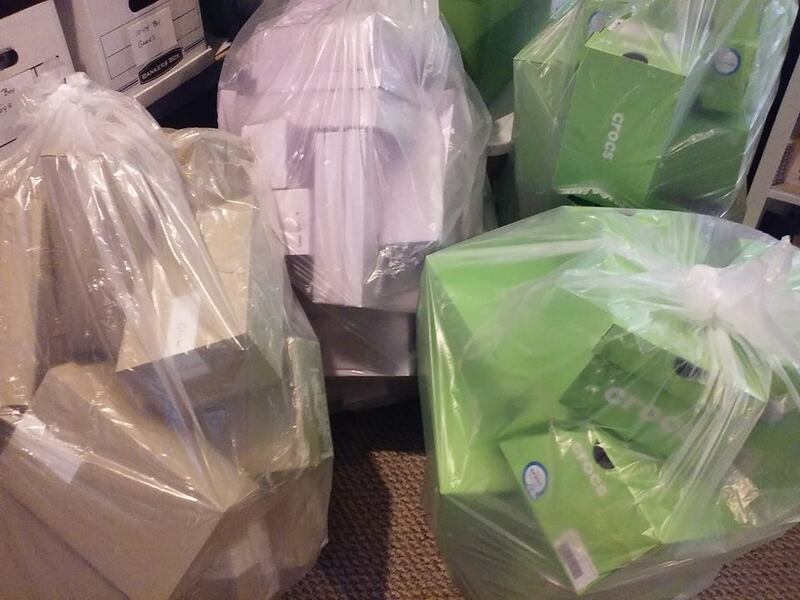 We've had a couple big weeks for shoebox stockpile. First we had gotten a $20 promotional gift card to Oriental Trading, so when their was a free shipping code, I looked online and found a couple things on sale/clearance to purchase to make the funds go even further!! And we needed balls for the boxes-the footballs were a little smaller than we imagined-but they're really fun to throw around...we HAD to test them out-LOL! The football helmet "water bottles" were a little bigger than I expected, but if they're too big to fit in our boxes, they'll make great fillers for the processing center! A friend brought over some empty shoeboxes-so fun!! We often like to use traditional standard sized shoeboxes-you can read my thoughts on shoebox options for Operation Christmas Child. We've found that different shapes of standard size boxes can help us pack the random odd shaped items we come up with. Then we were at a store and asked if they had any extra shoeboxes. Turns out they save them for a church, but had extra, so we got these bags full!! Plus free shoeboxes save even more!! One thing I enjoy doing when packing shoeboxes for Operation Christmas Child is to pack it around a theme. I still stick to my normal list of things to include (hygiene, school and art supplies, toys/games, something to wear, etc. ), but try to find versions of those items that fit the theme. I may add an extra unique item or two, but on the whole it's the same list, just different types. Last year I packed this shoebox with a dinosaur theme. I was excited when I saw this dino truck in our Hotwheels packing stash! Often people find it helpful to see how the box is packed to fit everything in, so here's some photos of how these items fit in the shoebox. This shoebox was 425 cubic inches (for comparison a GO box is 306 in3 and a standard plastic shoebox holds 346.5 in3, but takes up more room in the cartons from it's ridges and stuff-maybe over 500 in3) and held a ladies size 10.5 sandals, so a normal sized shoebox, but was able to get a lot in it through careful packing. 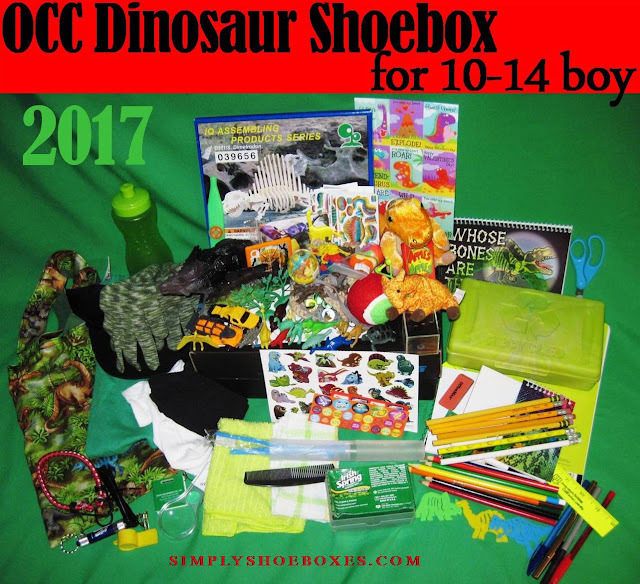 For more ideas/fun boxes, check out other shoeboxes we packed for 10-14 year old boys or our themed boxes! I got a very exciting box FULL of Beanie Babies. I was contacted through the blog by someone with a collection they wanted to donate. Look at all these cute new "friends" to send in boxes! Can't wait to pick them out to which box to put them in! Plus she sent some pencils-so helpful! Thank you Robin! I also have been able get a couple good soap deals at CVS. What Happens at an OCC Shoebox Drop-Off Location? So, after you pack your Operation Christmas Child shoebox you have to take it somewhere. Maybe you take them to the Drop-off Location yourself. Or, maybe your church takes them up in the main room, takes them to the Drop-Off Location and you have no idea what we're talking about when we say "Drop-Off Location". Most year's I've sent my boxes through my church, but I've also dropped off shoeboxes and fillers at a Drop-Off Center. Last year I got the chance to volunteer a few days at a Drop-Off Location, and I thought I'd share a little bit about what happens at one and my experiences. The deal on Dial Soap is back-this is great to get for shoeboxes, and it's hygiene item month! There is currently this printable coupon available, you should be able to print two on your computer (print as soon as you can, it often isn't available for long). UPDATE: These printable coupons are no longer available to print, but hopefully a lot of you were able to print them, or find them in the newspaper and get some soap deals. I'll try to share when they're available agian. Discloser: these coupons/rebates are affiliate links and I may be compensated if you use them.